Are you passionate about helping animals? Licensed veterinary technicians (LVT) are indispensable members of the veterinary medical team, capable of providing everything from life support and surgical assistance to physical therapy and nutritional management. 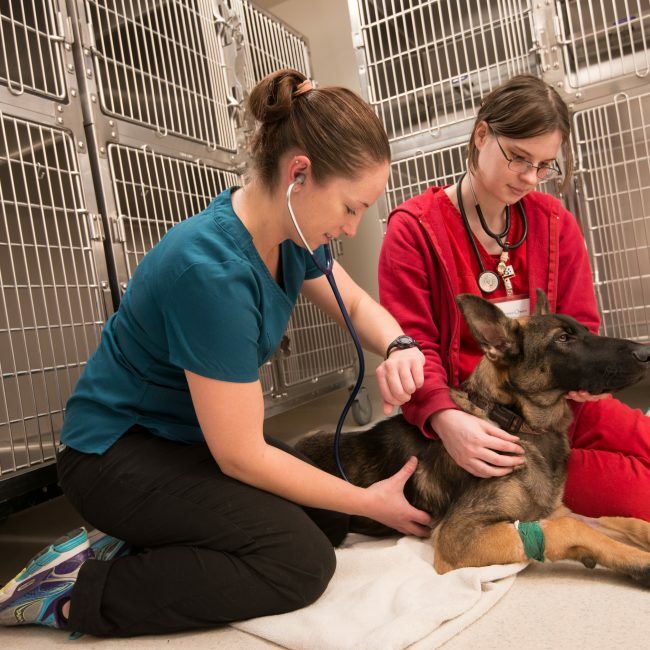 UMA Bangor’s BS Veterinary Science Technology program, the first in Maine, is designed to provide you with extensive training in the theory and principles, reinforced with the hands-on technical, animal, and laboratory experience needed to prepare you for this exciting field.